Suzuki is all set to launch the V-Strom 650 XT in India that is expected to take place in the third week of September. 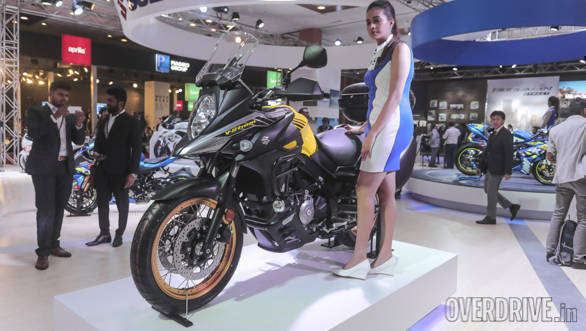 The Suzuki V-Strom 650 XT was showcased in India at the Auto Expo this year. 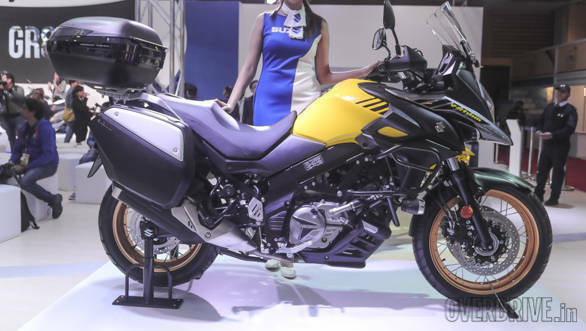 We have learnt from our sources that the Suzuki 2 Wheelers will launch the V-Strom 650 XT with spoked wheels in 19-inch front an 17-inch rear in India and not the alloy wheels version as conveyed by some of the dealerships in India. The 2018 Suzuki V-Strom 650 XT will be brought in via the CKD route and locally-assembled. This could translate in competitive pricing. We expect the on-road pricing to be around Rs 9 lakh, on road. Suzuki India has been able to achieve good pricing on the GSX-S750 owing to the same reason - local assembly. The 650 XT will be the third motorcycle from Suzuki big bikes after the Hayabusa, and the GSX-S750 to be locally-assembled. The Suzuki V-Strom 650 XT was first showcased at the Intermot 2016 and made its India debut at the 2018 Auto Expo in February.